1541 was the beginning of Ottoman occupation. The Turkish Pashas built multiple mosques and baths in Buda. In 1686 Buda and Pest are reconquered from the Turks with Habsburg leadership. Cited as one of the most beautiful cities in Europe, its extensive World Heritage Site includes the banks of the Danube, the Buda Castle Quarter, Andrássy Avenue, Heroes' Square and the Millennium Underground Railway (Metro), the second oldest in the world. Other highlights include a total of 80 geothermal springs, the world's largest thermal water cave system, second largest synagogue, and third largest Parliament building. Budapest hosts the "Open Society Foundation" headquarters, founded by Investor and philanthropist George Soros. There are fantastic restaurants and the market streets in Pest that provide an eyeful of culture and flavor. Walking down one street I recall spying a stone stairway leading down. Upon entering, we discovered an old sword making shop complete with suits of armor and various weaponry. One never knows what one might find wandering through the streets of cities with centuries of tradition and history under their belt. 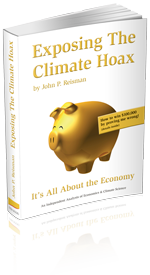 Booking a hotel? Mbe travel has a user friendly website and good offers. Traveling to Budapest I found that there are many websites offering apartments for short term rent. Apartments in Budapest, offers about 10 unique, nicely renovated apartments, like the "queen apartment" 80sqm, or this Studio apartment. Budapest has many thermal baths, the Széchenyi, the Gellért, and the Rudas thermal bath to name a few. Rudas Bath is a thermal and medicinal bath that was first built in 1550, during the time of the Turkish occupation of Hungary. 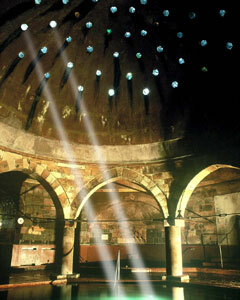 To date, it retains many of the key elements of a Turkish bath, exemplified by its Turkish dome and octagonal pool – which you can see on the photos below: the dome has holes so the daylight can shine in because in 1550 there was no electricity to light it. The bath was used as a location in the 1988 action movie Red Heat, starring Arnold Schwarzenegger and James Belushi. Official link for Rudas Bath | English-friendly link for Rudas Bath. Budapest has one or Europe's oldest metro system. Its iconic Line 1, dating from 1896, was declared a World Heritage Site in 2002. Generally it is easy and fast to move by public transport – or by foot. Link to official public transport, the map. In courtyards of houses and in basements of old houses that wait to get renovated there has evolved a culture of unconventional, fun, relaxing and colorful bars, lounges, dance floors, art studios and life concerts. Ready to explore? Strolling through the 7th district in the evening or peak in this website for RuinPubs first? The ApaCuka is a simple and stylish, easy going, relaxed hang-out place. Good food, maybe modern Hungarian would describe it best, including nice choices for vegetarians and the service even in high traffic times very friendly. Két Szerecsen – "Two Moors", is actually located on what used to be the "coffee street", has a very relaxed vibe and is very beautifully decorated inside in a brown and dark orange color range with gold. Két Szerecsen serves international cuisine with a Mediterranean and Hungarian accent. Két Szerecsen is located on Nagymező utca 14, District 6 (VI. ker. 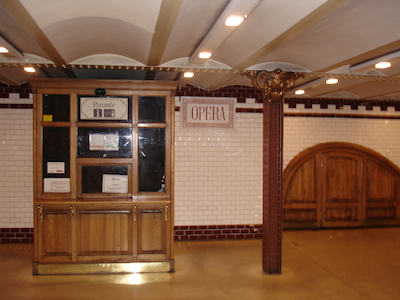 ), Metro station Opera or Oktogon. Reservation: (+36 1) 343-1984, open every day till midnight. The Matthias Church with its multicolored roof is a highly visible landmark of the city. Yet the true beauty and glory becomes visible when you enter the church. The light shines in solemn and festive colors through the tinted glass windows on the nave covered in splendid frescoes. In 1867 Franz Joseph I. from Austria and his spouse Elisabeth, called "Sissi" were crowned King and Queen of Hungary – a remarkable political move initiated by Sissi to harmonize to the deeply disturbed Hungarian-Austrian alliance. The romantic film about the Empress of Austria, "Sissi", with Romy Schneider is based on this story. Link for concerts held at the Matthias Church. Empress Elisabeth of Austria on Wikipedia, Matthias Church (Hungarian: Mátyás-templom) on Wikipedia. Investigative reporter Ellen Schultz talks about how corporations deliberately deceived their employees and Congress to profit from workers' pensions.